Hotels developed in and around Dubai’s shopping malls can expect to post an Average Daily Rate (ADR) that is 25 percent higher than those that are not co-located with a major retail development. The findings are published in a report by Colliers International, released ahead of this week’s Arabian Travel Market 2017, which is being staged at the Dubai World Trade Centre (DWTC). 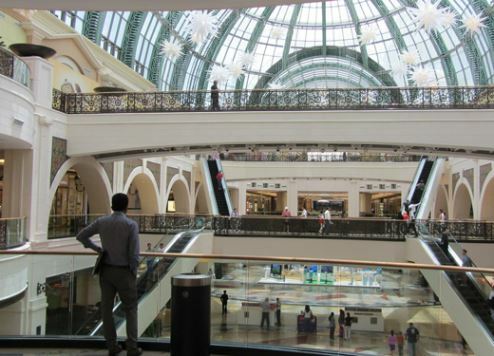 As part of its experiential travel series, Colliers concluded that hotels such as those clustered around Dubai’s Mall of The Emirates and The Dubai Mall, enjoy stronger business performance overall – not only beating seasonal fluctuations in tourist arrivals, but contributing in the drive to attract more tourists over the traditionally quiet summer season. Simon Press, senior exhibition director, Arabian Travel Market, said: “In the UAE, the idea of a combined retail, leisure and entertainment destination has really taken off. We have hotels attached to malls and, as such, these are much sought-after properties. There is massive demand for urban tourism from Indian, Arab and Chinese visitors. For retail tourists, shopping malls and the facilities they feature – from indoor ski slopes to aquariums – form an integral part of trips to the region. The UAE boasts the strongest retail tourism sector in the Gulf and Dubai takes the lead among the seven emirates with retail accounting for more than 40 percent of total tourism spend. Three of The First Group’s upcoming hotel properties will be located near Dubai’s major shopping malls. Millennium Place Business Bay will be close to Dubai Mall, the biggest retail complex in the world, while Millennium Place JVT and Ramada Plaza JVC will be just minutes from the upcoming Al Khail Avenue Mall, as well as the popular Mall of the Emirates.